While many course owners and operators have had their struggles in recent years, one segment of the golf industry stands as a bright spot. Even during the recent crippling recession, golf course development and ownership at Indian casinos grew by healthy margins as many tribes diversified their economies and moved toward full-scale destination resorts. 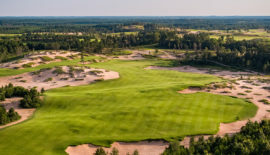 If the idea of merging golf and gaming strikes some as incongruous, Tony Mancilla, general manager at Island Resort and Casino in the Upper Peninsula town of Harris, Michigan, said it actually makes perfect sense. “What’s the first thing golfers do when they get to the first tee?’ he said. To borrow a phrase: Bingo! Golfers, Mancilla said, “are higher disposable income people,” — the very demographic tribal resorts already court for their casinos. Getting golfers to come as part of stay-and-play packages is especially helpful because they can spend money by night as well as by day. Growth in golf and gaming combinations has been strong. From 2004 to present, the number of tribes with golf courses and the total number of golf holes essentially doubled, according to Matthew Robinson, a Minneapolis consultant who works with tribes across the country on golf and other development efforts. Today, 70 tribes in 20 states own 105 golf courses, led by California with 14. In the Midwest, six Minnesota tribes also have golf courses, along with five in Michigan and two in Wisconsin. Mancilla’s resort is testimony to the synergy that comes with golf and gaming. This year the resort opened a second golf course, Sage Run, to go with the 10-year-old Sweetgrass Golf Club that has drawn accolades even in golf-rich Michigan. Thanks to the revenue from its hotel and casino, Mancilla said, a tribe can build a high-end golf course and charge less per round than a stand-alone course owner could. Many tribes have come a long way from the days of operating smoky bingo halls. Increasingly tribes have added golf, spas, meeting facilities and other amenities to their resort offerings. 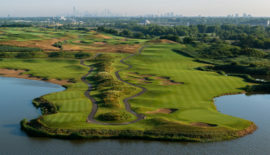 Some tribes built new courses, sometimes using top designers, while others elected to purchase nearby golf courses to more quickly join the golf-and-gaming segment. Ernest Stevens, a member of the Oneida Nation of Wisconsin who serves as chairman of the National Indian Gaming Commission in Washington, D.C., said he never played golf until he started attending golf course dedications at various reservations. Stevens said just as casinos benefit non-Indian stores and restaurants by attracting visitors, tribal golf courses can help non-Indian owned courses through stay-and-play packages. 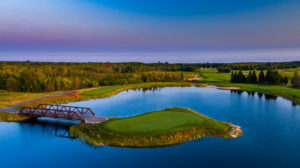 Sweetgrass Golf Club at Island Resort in Michigan’s Upper Peninsula hosts the Symetra Tour’s Island Resort Championship. GAMING: Island Resort & Casino, owned by the Hannahville Potawatomi Community, offers more than 1,200 slots, blackjack, craps, poker and roulette, along with spa and entertainment center. GOLF: Sweetgrass Golf Club, named for one of the four plants used in native medicines and boasting an island green 15th hole, has been rated as one of Michigan’s best public courses. This year, Sage Run, named for another medicinal plant, will open at the resort, which also offers packages that include the tribal courses along with the terrific Greywalls Golf Course in Marquette and TimberStone Golf Course in Iron Mountain. GRUB: 5 Bridges Steak and Seafood House at the resort offers great steaks and an extensive craft beer menu. WHEN YOU HIT IT BIG: Relax in the resort’s Drift Spa, perhaps for a Sacred Stones Massage using heated stones — a traditional native healing technique — a Sports Massage or a Massage for Two. 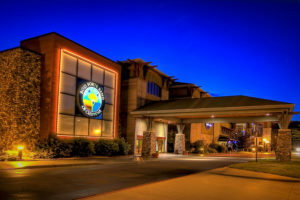 GAMING: Black Bear Casino Resort, owned by the Fond du Lac Band of Lake Superior Chippewa, offers 400 hotel rooms, the Otter Creek Event Center and a casino with 1,800 slots, blackjack, poker and more. and PGA pro on site, is popular with golfers throughout the Northland. WHEN YOU HIT IT BIG: Head north to greatly underrated Duluth and enjoy the dining, brewpub and casual shopping of Canal Park and, if you are lucky again, you get to stand just feet away from a 1,000-foot cargo carrier entering or leaving the Port of Duluth/Superior. GAMING: Grand Traverse Resort and Spa, Leelanau Sands Casino and Lodge and Turtle Creek Casino and Hotel, all owned by the Grand Traverse Band of Ottawa and Chippewa Indians, offer Vegas-style entertainment with more than 1,300 slots, 40 tables games, poker room and more. 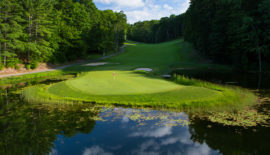 The Gary Player-designed gem called The Wolverine at Grand Traverse Resort near Traverse City, Michigan, is an underrated winner. offers a Golf Academy, with simulator and lesson areas, and has a Dave Pelz Scoring Game School on site. GAMING: The Bois Forte Band of Chippewa owns Fortune Bay Resort Casino, with more than 25,000 square feet of gaming on two floors, and the Wilderness at Fortune Bay golf course. The resort also offers an RV park and marina on Lake Vermilion. Fortune Bay Resort Casino in Tower, Minnesota, is home to The Wilderness Golf Club. among tall pines and rock outcroppings on the shore of Lake Vermilion, has won numerous awards in recent years, including being ranked No. 1 in the Mobile Golfer’s Top 50 Golf Courses You Can Play in America. GRUB: The resort’s Sunset Steakhouse boasts “some of the best steaks in the Northland,” including the $23.95 Tomahawk Steak. WHEN YOU HIT IT BIG: Enjoy the rich history and culture of the surrounding the Iron Range. Ride the Lake Vermilion mail boat that delivers mail to island residents, tour Soudan Underground Mine State Park to learn the history and hardships of iron mining, take in the International Wolf Center or North American Bear Center in Ely or, for music lovers, visit the Bob Dylan Museum in his hometown of Hibbing. 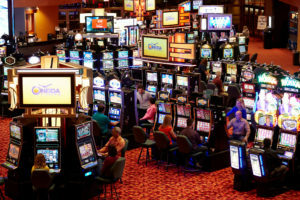 Wisconsin is home to two casino resorts, including Oneida. 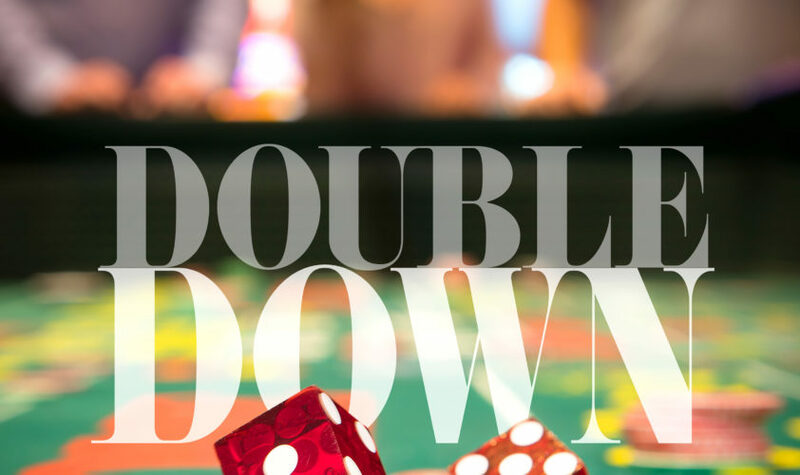 largest gaming areas, with more than 2,000 slots, numerous table games, poker room and even off-track betting on thoroughbred, harness and greyhound races. 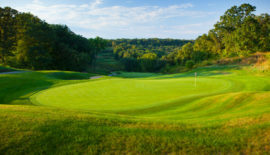 GOLF: Thornberry Creek Golf Course’s 18-hole championship course is not only home to the Thornberry Creek LPGA Classic but also the official golf course of the Green Bay Packers. It also features a nine-hole executive course with family-friendly tees. GRUB: When in Rome, as they say, enjoy Packer lore while dining at the 1919 Kitchen & Tap (named for the year of the Packers’ birth) on the atrium level of Green Bay’s most sacred site, Lambeau Field. Outside, perform your own Lambeau Leap onto the statue of front-row fans or bow in respect at the bronze likenesses of Vince Lombardi and Curly Lambeau. WHEN YOU HIT IT BIG: Head northeast onto the Door Peninsula, one of the Midwest’s favorite vacation destinations, for a bit of New England-flavored fun in the many picturesque communities on the waters of Green Bay and Lake Michigan. And don’t miss the goats on the grass roof of Al Johnson’s Swedish Restaurant in Sister Bay, where paper-thin Swedish pancakes are a must. GAMING: The Odawa Casino Resort has 50,000 square feet of gaming space, with more than 1,000 slots, 127 guest rooms, and three restaurants. GOLF: The area has an amazing array of great golf, with Boyne Highlands Resort’s four great courses, Crooked Tree Golf Club, Little Traverse Bay Golf Club, and the lakefront beauty called Bay Harbor. GRUB: Petoskey and nearby Harbor Springs are a feast for foodies. Check out Petoskey Brewing or Beards Brewery for some great food and local craft beer, Teddy Griffin’s Roadhouse for some comfort food, or up the ante with the roasted loin of lamb at Chandler’s. WHEN YOU HIT IT BIG: Check into a waterfront suite at the incredible and affordably opulent Inn at Bay Harbor. Enjoy fine dining at the Inn’s Vintage Chop House, and make a tee time at Bay Harbor Golf Club, one of the Midwest’s most postcard-perfect clubs. GOLF: The Meadows at Mystic Lake, formerly Lone Pine Golf Course, was totally remodeled after its purchase by the Shakopee Sioux. 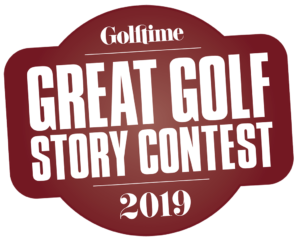 And there are plenty of other nearby courses to try because Minnesota claims more golfers, and more golf courses per capita, than any other state. GRUB: Mystic Lake’s restaurant menu includes 10 dining and drinking spots, from Mystic Steakhouse to Fusion Noodle Bar to Mystic Deli. WHEN YOU HIT IT BIG: Go for even bigger. The Mall of America is just 25 minutes away, complete with aquarium, roller coaster, Moose Mountain Adventure Golf and, oh yes, even stores. GAMING: Northern Wisconsin’s North Star Mohican Casino Resort, with more than 1,200 slots, table and other games, Tarradea Salon and Spa and an entertainment facility that features national acts from Kiss’ Gene Simmons to Wynona and the Big Noise, celebrated its 25th year in gaming in 2017. GOLF: The Mohicans expanded from gaming into golf by purchasing Pine Hills Golf & Supper Club and now offers a golf experience with the full flavor of Wisconsin’s Northwoods, complete with a massive log clubhouse. 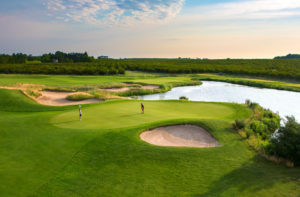 Despite its woodsy setting, the resort is just an hour away from the golf temptations of Green Bay, Appleton and some of Wisconsin’s best-known courses. GRUB: Entire books are devoted to the classic Wisconsin supper club, so experience it for yourself at Pine Hills Supper Club with the traditional Friday fish fry — cod or perch, of course — or the Saturday night prime rib. The before-dinner brandy old fashioned is optional, but you’ll not convince many Wisconsin natives of that. WHEN YOU HIT IT BIG: Splurge on a cabin on one of the many nearby lakes of Up North, Wisconsin, to wet a line, paddle a canoe or simply relax. You deserve it — you’re a winner.